Go on a bicycle tour – and get a fantastic nature experience! Local cycle routes, including the beautiful panorama routes and popular routes like Dronningerunden in Northern Zealand, and at Aarhus the Beder-Malling route, which is popularly called the ”Tailwind route” - the election promise of Jacob Haugaard ahead of the elections in 1994. General information about accommodation, bike inclusion on trains etc. List of content is written in Danish, German and English. 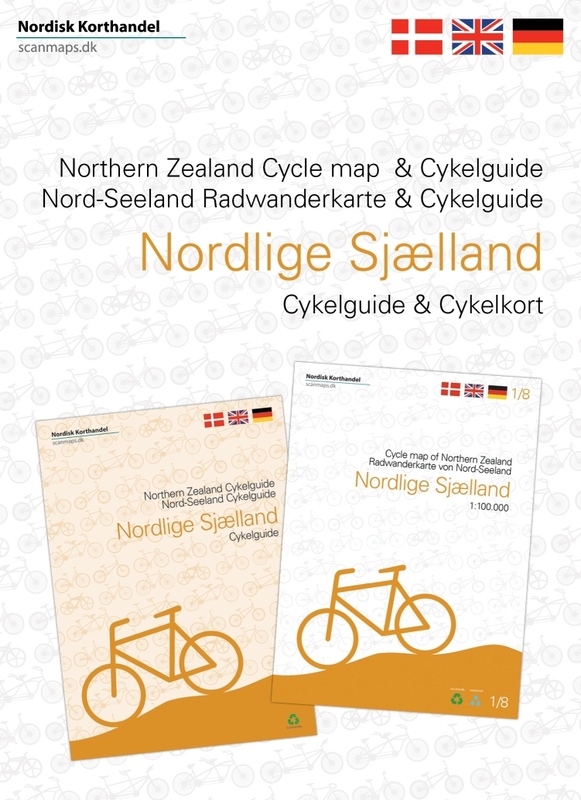 For Northern Zealand and Southern Zealand bicycle tour books have been published. The tour suggestions have been composed by Jens Erik Larsen (Association Frie Fugle), who is an expert in the field. They are available as a set together with the map. The tour suggestions are carefully selected routes with overview maps, a description of the landscape, attractions and other things, that you will see along the routes. In addition there are guidance on cycle routes, bringing bikes on trains, buses and ferries, accommodation opportunities, the Danish traffic rules, weather in Denmark and good advice for the bicycle vacation. The tours can be used as one day trips or can be composed into a bicycle vacation of your choice. For Northern Zealand the Bicycle tour book is 84 pages with 12 tour suggestions for bicycling in the Northern Zealand region. For Southern Zealand the Bicycle tour book is 84 pages with 11 tour suggestions for bicycling in Southern Zealand and the Lolland Falster region. The bicycle tour books are written in Danish, English and German. 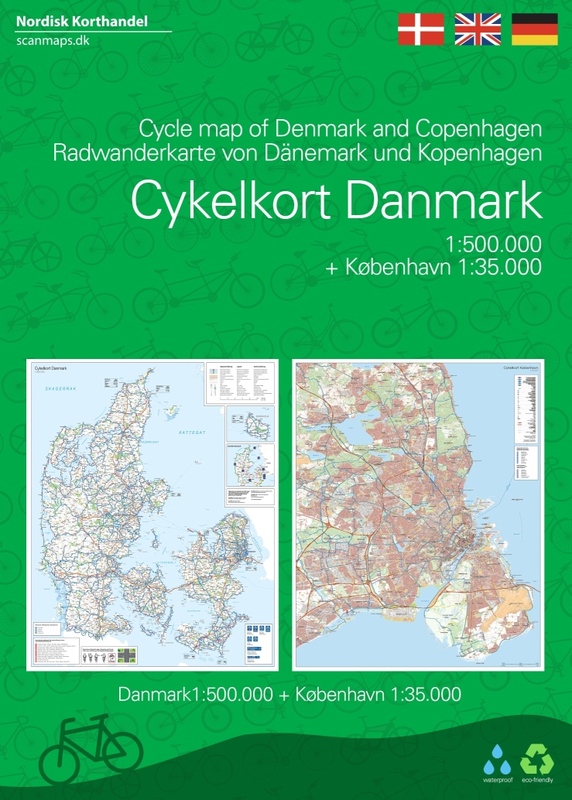 The cycle map of Denmark is in it's 3rd edition and now with cycle maps on both sides. Besides the map of Denmark in scale 1:500.000 you get a cycle map of Greater Copenhagen in scale 1:35.000 on the other side. The 1:500.000 cycle map is a planning map, which gives an overview of cycling opportunities. The cycle map contains a lot of information, that is indispensable on a bicycle vacation in Denmark. The map contains national and regional cycle routes, roads with cycle paths, hostels, camp sites, tourist information etc., and there is an EuroVelo (the European cycle route network) overview map showing the international cycle routes going through Denmark. Information about the Danish cycling rules are included. 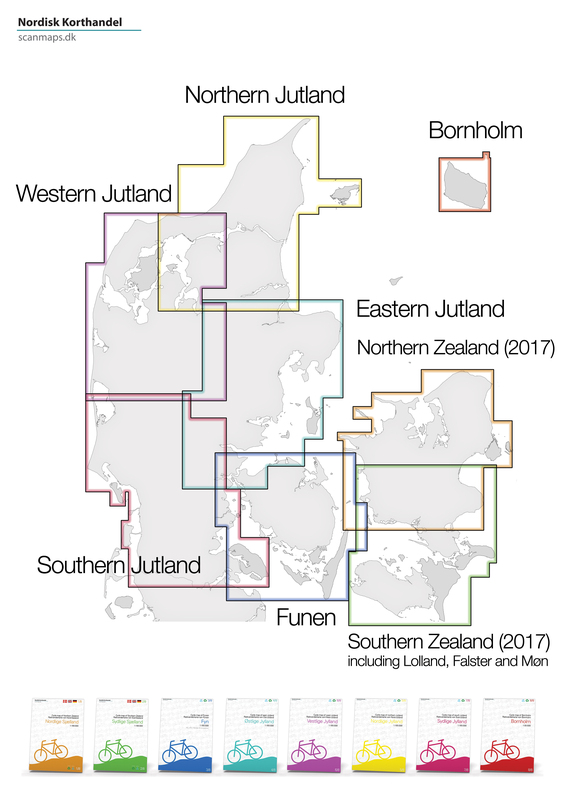 There are more than 160 regional and 11 national routes on the map, and new routes include Kulturringen (Eastern Jutland) and Vestegnsruten (Copenhagen). The map is printed on the rigid and waterproof material POLYART, a material that can easily be folded and is completely unaffected by moisture. On the other side of the paper you have a map of Greater Copenhagen in scale 1:35.000, which is a detailed map of the cycle paths and routes in Copenhagen. Local cycle routes Strandparkruten, Familieruten, Parkruten, Liljeruten, Kilderuten, Skt. Jacobruten, Søruten, Skovruten and Havneringen. General information about accommodation, bicycle on trains etc. Information icons include bicycle retailers, national attractions, tourist offices, campsites, hostels, tent camps, beaches and bicycle friendly churches. Cycle paths with road names. List of contents and text in Danish, German and English.